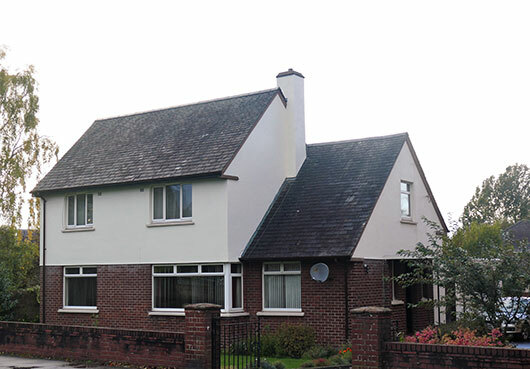 Our modern manse is well maintained and is situated in Cumnock next to Trinity Church. It has a private secluded garden, a garage and off-street parking for several cars. Click here to see more photos of the manse. At present the local community is served with two primary schools and a secondary, all within walking distance. Hillside School caters for children with additional needs. Plans have recently been passed to build a new school campus which is also within walking distance. Cumnock has an indoor swimming pool with gym, sauna and steam room. A community sports hub with an all weather pitch has recently opened at the home of our local Junior football team. Cumnock Rugby Club have teams of all ages and have a good reputation in nurturing young talent, including Scottish international Mark Bennett. A cycle club meets at Woodroad Park. A wide range of other groups meet in the area. We have two golf courses within five miles. We have a very active amateur theatre group that puts on shows twice yearly, as well as regular concerts. Uniformed organisations include Boys' Brigade, Rainbows, Brownies and Guides. Health care in Cumnock is served by the Tanyard Medical Practice, which has 8 doctors. They run several clinics throughout the week. We have a Community Hospital where GP acute services and specialist clinics are provided. The closest Accident and Emergency hospitals are in Ayr or Kilmarnock, 15 miles away. There are currently three dental practices and two opticians in the town. The town also has a Veterinary Practice which caters for small animals as well as farm livestock. Dumfries House estate is our main tourist attraction and entry to the grounds is free. The Baird Institute is our local museum and has a variety of visiting exhibitions. We are also in the heart of Burns country. We have a very good bus service to Muirkirk, Ayr, Kilmarnock, Glasgow and Dumfries. Auchinleck railway station, on the Glasgow to Carlisle line, is two miles away. We are served by many local independent retailers. Supermarkets include Asda, Tesco (2miles), Farmfoods (being built at the moment) and Co-Op. Cumnock Factory Outlet has a large range of clothing, shoes, home-ware and gifts. Ayr and Kilmarnock are 15 miles away and Silverburn shopping centre a 45 minute drive.